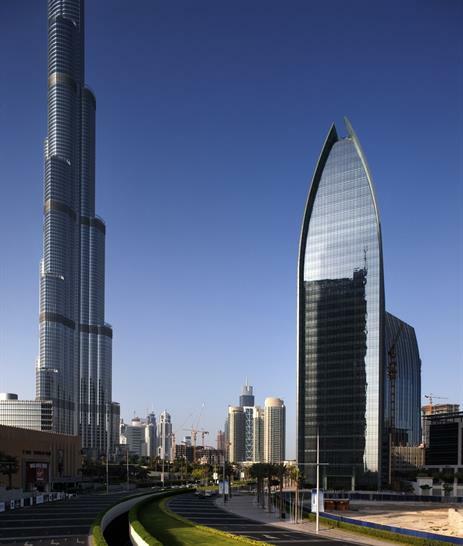 The Boulevard Plaza Towers stand at the gateway into the Burj Dubai development. 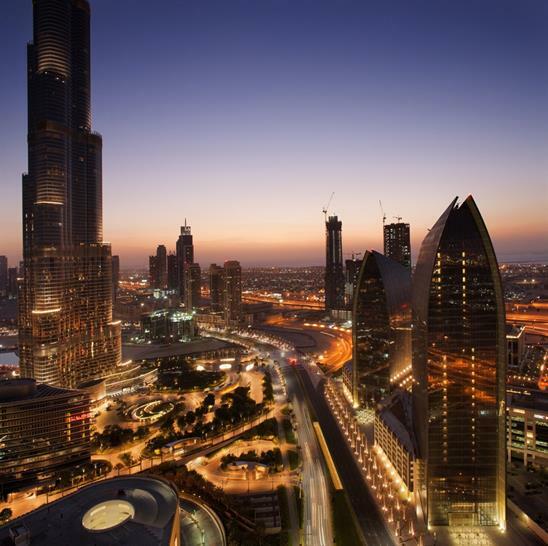 The importance of the site is accentuated even more by being located immediately across the street from the tallest tower in the world – Burj Dubai Tower. The design strives to fit appropriately into this development as a respectful icon for the community. The relationship of the forms and their articulation derive from both a contextual response and the building’s symbol representing a modern Islamic architecture set appropriately within the most modern Islamic city in the world – Dubai. Despite the changing curvatious form of the building section, the units are modularised to standard layouts for construction simplicity, rational space and cost efficiency. While the modern Islamic feature façade patterns offer symbolism to address its context it also acts as a sun screen which significantly reduces heat loads applied by the intense Dubai sunlight, thus reducing energy consumption produced by mechanical loads. 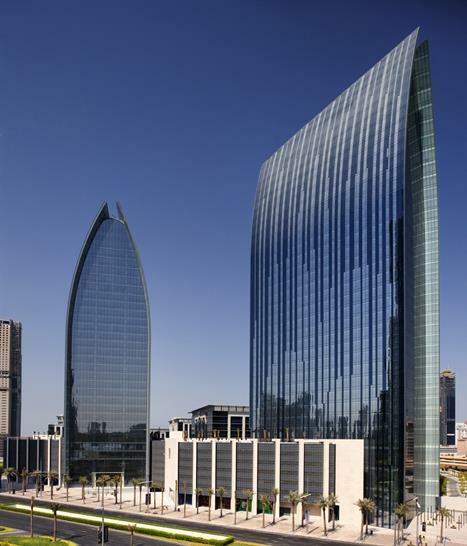 Over-sailing façades, cantilevering up to 5 metres length, offer shade to the east and west elevations which contain a more transparent glass than the north and south patterned facades. The podium is an open-air structure with natural ventilations and fans for air flow circulation. The open façade is clothed with patterned metallic screens in between a monolithic colonnade that recalls the Islamic motif.